Ebay false advertisement. Ebay scams and is fraudulent. they said their is fraudulent activity on my s.s.n. ATTENTION: If you've been contacted by secret-shopper scammers, your personal information may have been breached. #REPORTSCAM highly recommends that consumers whose information has been breached obtain identity theft protection service immediately. There are several companies that offer identity theft protection in the US. One of the most inexpensive options we were able to find is the protection offered by LifeLock. You can start your protection here. 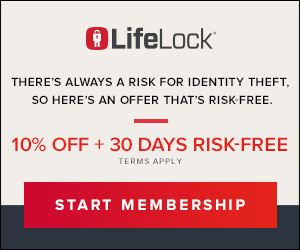 Disclaimer: The information and opinions contained on this site are not endorsed by LifeLock. #REPORTSCAM receives compensation from LifeLock. This helps support our scam prevention efforts. Received an email claiming to be a secret shopper. Sent a certified check that was deposited into my account. From there, I was immediately instructed to send funds via a cashiers check to CHina. Waited several days after doing cashier's check and the deposit was returned as a fraudulent account. HIGH RISK Click here for the explanation. * We are starting a very big research project in USA. ___Assigned to visit a shop. ___No experience needed like shopping. ___You will then finish an on-line questionnaire. Pay.you between 35O$ - 5OO$ per completed~visit. As it was stated in the first email that sent to you will be evaluating different stores around you / location, your first assignment will be at the Money gram outlet near you. Under no circumstance are you to make it known that you are secretly evaluating their services as that will defeat the purpose of the whole program, so if asked if you are a mystery shopper please answer NO. Your full name and address as written on the form filled. REFERENCE NUMBER (8 digit number on the receipt given to you). Exact amount to be picked up. Receiver's Information written on the form. Scan/take picture of receipt given after money is sent. (1) How long did you wait for a Customer Service Agent? (2) What was the overall appearance of the store, inside and out? (3) Knowledge of the Customer Service Agent helping you? (5) Your comments and impressions. (6) Name and Address Of Location? (7) Did you experience any overcharging? (8) Did you notice any roll-back charges? (9) How fast and efficient is the Money Transfer Service? (10) How long does it take you to have the funds transferred? This job came from a trusted sight usajobs.com I thought it was real but as I can see now its not. Thanks for your time I hope you can resolve this as soon as possible because someone out there might loose a lot of hard working money. I received a check from a mystery shopping company. I was to cash the check and go to the Apple store in my area. I spoke with Tom and all sounded good. Even called the bank and was told the check was good. Went to my bank they ran a check on the check. All was good until the check back as a fraud. I was approached via email telling me Secret Shoppers was looking for people in my area and if I was interested reply with my name and address. I did. Several days later I receive what looks like a check in the mail with instructions on my 'assignment'. I contacted the financial institution and they verified the check is fraudulent. He sent me a check I was waiting for it to clear and he called me and chewed me out because I had not sent the money to his account yet I told him I was waiting for it to clear. then when I heard from the bank that it was a fraudulent check he said it wasn't and he had canceled the check because I would not talk to him on the phone. I had joined a Mystery Shopping site. I received an email from a potential employer. When I received the instructions, I was to deposit the cheque in to my personal account, go shopping at Walmart only spending $50.00, pay myself $250.00 and wire the remaining balance of $2100.00 to Dubai, UAE. Money transfer fees paid out of this money were to be $50.00. Message: I have received 3 different scam artist checks and letters. Consumer Research Network. Kenny Risak is the signature.They basically want you to go and buy all these EBAY gift cards scratch the m off and take pictures of them and send them back to them. They want you to put the money in your bank acct. 1st and keep $400.00. The rest of th money I will would spend buying these EBAY gift cards from Best Buy, Target, and any place that sales them. They want you to think you are a secret shopper and that you will be evaluating if they: Said thank you, your over all experience and how long did your transactions take. They are getting better and better. This was my 1st one that came with a letter and a professional appearance. No way to stop them and they say we are safe in the US from warfare of any kind. Yeah right. Message: i am the most recent person to get this scam. Got a check for $2420. Buy gift cards from Walmart, yada yada yada. The cashier's check looks real, but i am a skeptic. I called the bank it's drawn on and they say they can't comment over the phone. Of course, the bank is out of state. Then I think: "why would they send me a big check? how do they know I will not keep all the $$$$$? Still have the check, and am calling police and postal authorities tomorrow. This will only stop if WE act. Message: you are aiding somebody to scam people. He has created degrees of separation from himself and not revealed his location because he doesn't want to get arrested. You could be facing legal problems, as it could appear to the court that the "I didn't know" excuse is just a lie. You need to be a "secret employee" and get as much information on this guy as you can and pass it along to the FBI. You are our only hope of catching this criminal ring that is devastating people; causing them to miss mortgage and rent payments, not afford medical care, etc because he steals thousands from them. Come, join the good guys and help us take him down. YOu can feel free to reach me personally for help. Message: (Certain the following are Scam details) I received contact from : Daniel Lawrence via online. I was sent via USPS a money order made out with the sum of $998.00 w/remitter's name : Angela Moore. The money order is from PL$ Republic Bank, Oak Brook, Illinoise, 60523. The sender's name/address is : Stacy Johnson, Carmel Banking Center, 613 E. Carmel Dr, Carmel, IN 46032. The enclosed letter with instructions to keep $150 (+ $20 to cover the transfer costs) and send the balance of $818 via Moneygram Money Transer to their affiliate in Texas by the name of Robert Heisler, 9522 Horserace, San Antonio TX 78251 (I googled that mailing address and discovered the house is up for sale and was able to tour the interior and saw a photograph of the owners displayed above their fireplace). After following instructions completely I am to text Daniel Lawrence via 6195774882. Message: Where did you get the money orders? What kind of money orders are they? They are most likely counterfeit. You need to take the rest of them to the post office. Your savings account? That is a scam. The money could be stolen. It looks like you need to file a police report. File a police report for your protection. I could get you help. Email me at baitj26@hushmail.com Let me know everything. Message: I just received Contact from James Carr From Online It is a copy leter telling me how to go be a Wal Mart Secret Shopper.I have a $2,950.35 check from a bank the address is correct and the name of the bank and everything so they are smarter.But they want me to put the check in my bank then draw the money out the next day and keep $300 for myself plus 50 to shop and keep and then Moneygram to 2 locations in Tx.$1300. each Really This is a Scam They sent this Priority Mail. Message: I have been working for Mr. Jim Carr or Jim Giles, he uses both names. I have been printing checks to mail out to secret shoppers and also mailing out money orders to secret shoppers for this individual. He says he is in Paris and he is using me to print and mail these items because it is cheaper than mailing it from Paris. He is paying me $400 every two weeks as promised, and also he reimburses me for the supplies I am using. I am worried that this may be a scam though. It really bothers me. He has also had some one, I don't know who, deposit money in my savings account and then had me send Money Grams and Western Union to individuals over seas. I gave him my savings account number because I do not use that account any longer. I send out second and third secret shopper letters to some of the same individuals, so I assumed that the checks & money orders must be good or these people wouldn't be foolish enough to be dupped a second or third time. But after reading all the information on this website I am very concerned that I may be helping to scam others. Is there any way to verify that this an up and up business? I do not want any part of it if it is a scam.